Have you just gotten a brand new prescription of glasses from your optometrist and felt as if it is not the one for you? Most of the time, your prescription is the perfect one for you but it takes a while to adjust. Keep reading to find out just how you can adjust to your new prescription! If you feel a headache coming on every time you put on your new prescription glasses, it is possible that you are straining the eye muscles surrounding your face too much. As soon as you wake up, put on your glasses newly prescribed by your optometrist. Waking up to your new lenses will accustom your eyes to them. 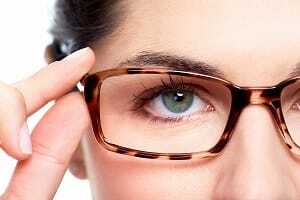 It is okay to remove your glasses every once in a while to give your eyes a break for a couple of hours. However, it is recommended to keep the eye glasses on as it will deduct from the adjustment period. Take painkillers if the pain is truly unbearable. Over-the-counter medicine like Advil or Aleve would work perfectly on the surrounding muscles of your eyes. Sometimes, taking painkillers diminish the transition issues completely. If more than a couple weeks have gone by and the headaches, pain, and straining are still present, contact your optometrist about any concerns regarding your new prescription. It is less likely that the problem is with the actual prescription but it is possible. However, if the headaches are not as severe, time will most likely heal. For more information about prescription glasses or to schedule an appointment with one of our optometrists, visit our website.